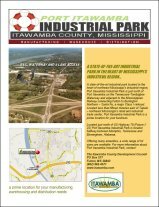 Fawn Grove Industrial Park is Itawamba’s newest industrial park project. A state-of-the-art industrial park located in the heart of northeast Mississippi’s industrial region, Fawn Grove Industrial Park is just west of Port Itawamba on the Tennessee-Tombigbee Waterway and less than fifteen minutes east of Tupelo – northeast Mississippi’s retail and industrial trade center. To download a 4-page brochure about this park, click the brochure image. Port Itawamba Industrial Park, located on the Tennessee-Tombigbee Waterway in the City of Fulton, is a state-of-the-art full tri-modal facility. 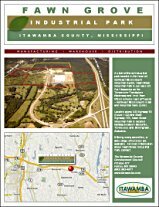 Located conveniently north of Port Itawamba on the east side of the Tennessee-Tombigbee Waterway, the park is minutes east of Tupelo, northeast Mississippi retail and industrial trade center. To download a 4-page brochure about this park, click the brochure image. 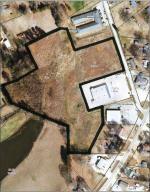 9 acres of prime commercial space in Mantachie in between Fred’s and Countrywood Assisted Living.